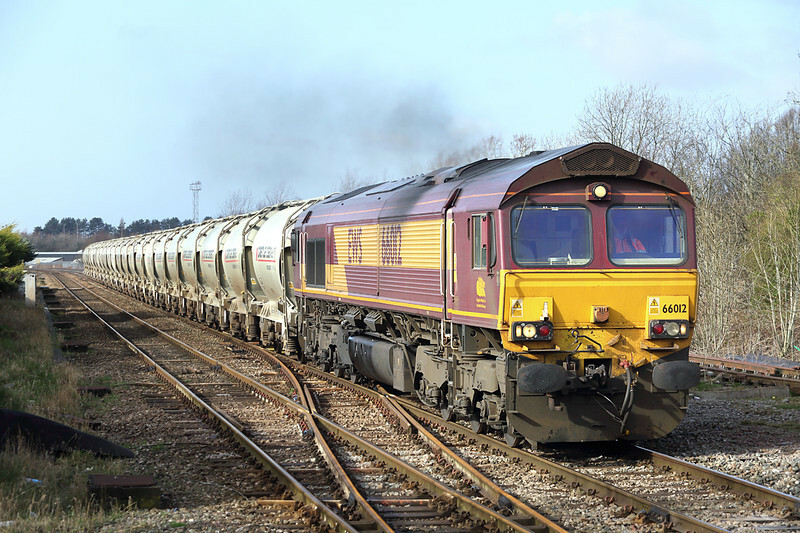 Welcome to edition 55 of the Railwaymedia blog. In the four weeks since i got round to writing the last blog I've managed to make progress with my scanning and also had a few trips out with the camera, especially over this last week when the weather has perked up nicely giving some pleasant late winter (or is it early spring) sunshine. The first week or so was spent getting through another batch of my early 1990's pictures. Increasingly the quality is getting poorer as I move back from prints taken from SLR film to those taken on a 110 point and shoot camera and finally to the few which were taken on a quite dreadful 126 film camera. Oh for the technology of today back then as there are very few images of reasonable enough quality that I can realistically salvage for the website. I've got 17 left to process, and I don't expect some of those will meet the grade once I start trying to improve them in Photoshop. 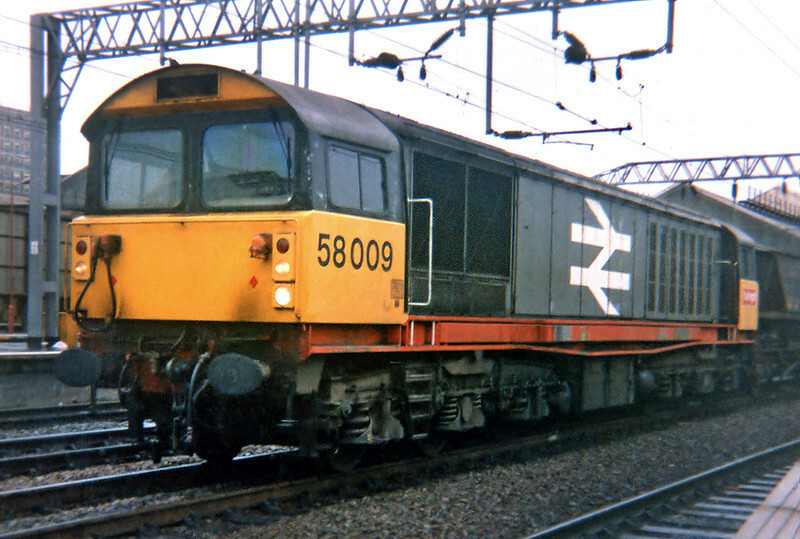 What appears to be a half-decent picture on the print rarely can be increased in size enough for web viewing, as this shot of a Class 58 taken at Crewe in about 1987 illustrates, coming from a square 126-film print. Oddly I only have a handful of Class 58 pictures but I have three of this particular loco alone! 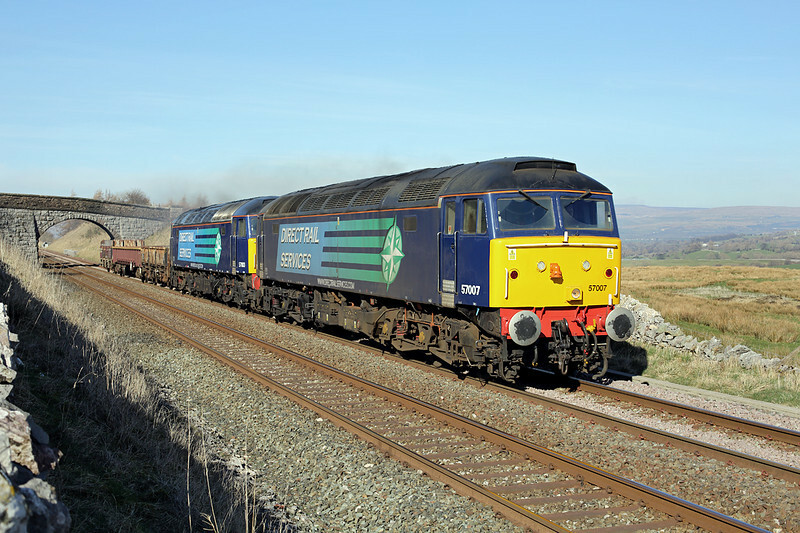 The first really sunny day for a bit in the North West was at the end of February and I spotted that this now seemingly regular twice-weekly working from Avonmouth to Castle Cement at Clitheroe was running. 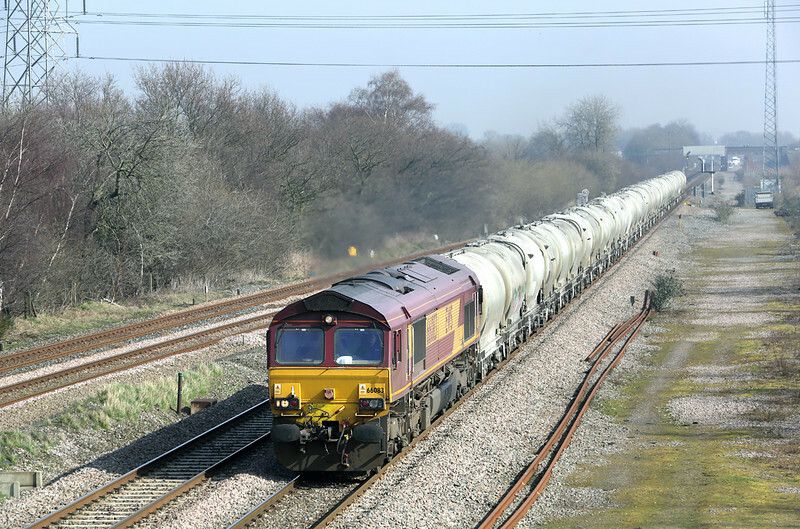 I can get to Bamber bridge in about 20 minutes from my house so timed it nicely to see it pass through. Depending on what schedule it is running to it sometimes waits 30 minutes at Blackburn for a path to Clitheroe thus enabling a second shot of it further up the Ribble Valley. 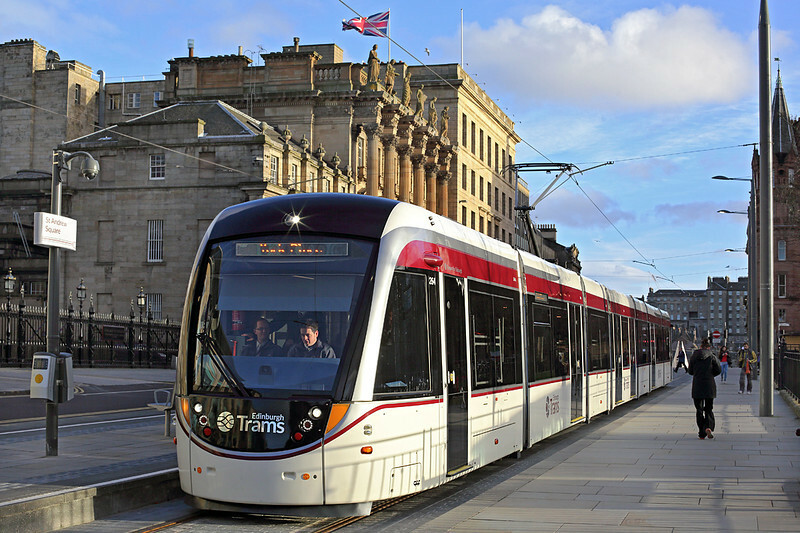 Testing of Edinburgh's new trams has now started right through to the City Centre terminus of York Place during daylight. I had to go there with work two days running and just caught the end of the days testing at about half past four. The official website currently has a cab ride video of the whole route from the Airport and can be seen HERE. Sometime in May has been suggested as the possible date for the opening of the route to the public. The view of a tram with a Union Jack behind might be a rare sight soon, depending on the result of the Scottish Independance Referendum. The following week I had a trip down to Portsmouth. Ostensibly for a few beers I never anticipated getting many railway pictures but did manage a couple of shots at Havant and Cosham. The weather cleared up really well in the afternoon so I ended up also getting a few bus pictures. I was suprised to find a new busway operating between Fareham and Gosport utilising the trackbed of the old railway. The line closed as far back as 1953, presumably before much of the housing in the area was built; the fact that there is a bus every 6 minutes illustrates how much demand there must now be. 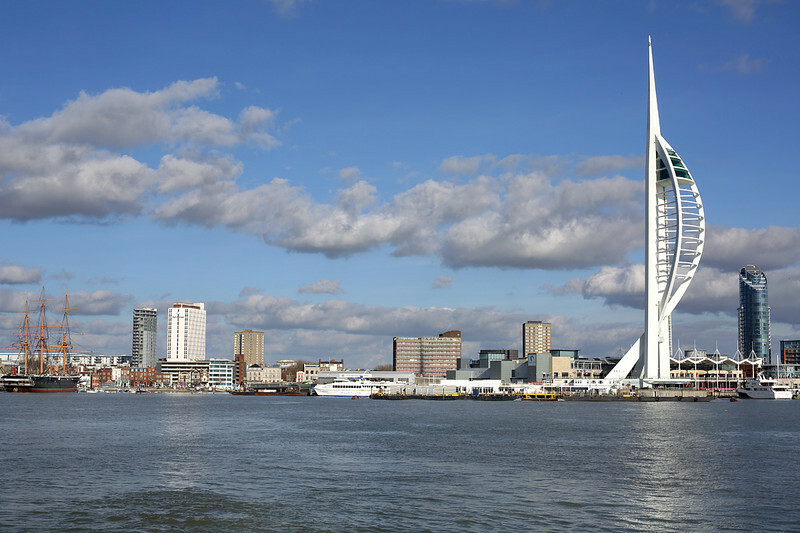 There was talk about creating a tram route linking Portsmouth via a new tunnel (details can still be found HERE), but for now you have to use the busy Gosport Ferry instead, below is a view taken from it showing the waterfront of Portsmouth with HMS Victory and the Spinnaker Tower. With nice weather on my week of night shifts I was able to get out a couple of times in the afternoons. 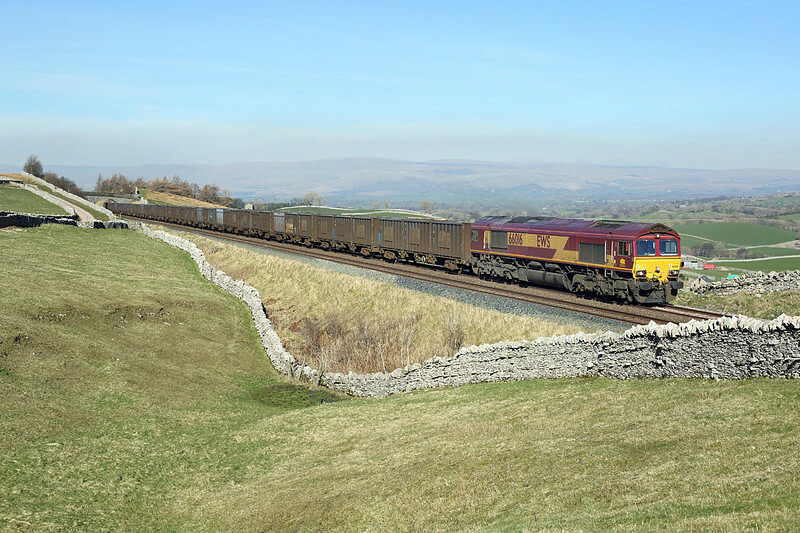 After another shot of the Avonmouth to Clitheroe train I headed up the M6 to Kirkby Stephen on the Settle and Carlisle line to photograph a gypsum train out of Newbiggin and the old faithful 6K05 departmental that was about 30 minutes behind. I haven't got many pictures of this train since DRS started operating it last year so a pair of class 57s was nice (picture at the top of the blog). 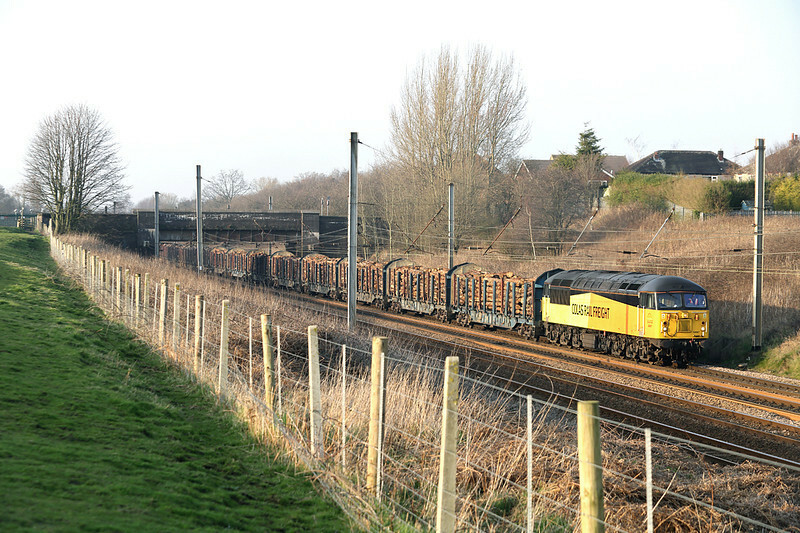 I then only just had time to get across to Docker on the West Coast Main Line for a southbound New Measurement Train working, the first of two times I photographed it that week. 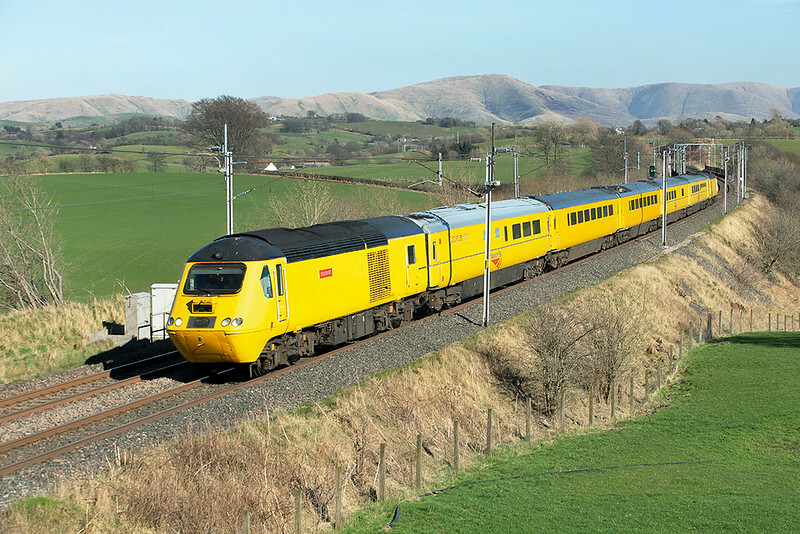 The Colas operated log train is currently operating via Shap rather than via Settle so would normally have been due just after the NMT but unfortunately wasn't running that day. The following day I didn't wake up until after dinner so hadn't the time to go too far. Rather than fight my way across the Preston traffic just for a single shot of the log train, I went to a location about a mile from my house near the site of the old LNWR Farington station at Lostock Hall. The low banking allowed the late afternoon sun to still be high enough to light the Fast Lines by the time the Class 56 turned up. Whilst this will be less of a problem once the clocks go forward in two weeks time, unfortunately this location isn't as good in summer once the lineside grasses regrow. Finally on the Friday I was able to go a bit further. Not wanting to go all the way down to London for some photography I plumped for Willington on the Derby to Birmingham line. This is one of the best sections of line in the country for the variety of freight trains you can see passing: during the course of the day I saw almost 20 ranging from coal trains to steel, departmental freights to infrastructure test trains, as well as the constant stream of Cross Country Turbostars and Voyagers. I would recommend Visions International's excellent Trainspots book for the area as a good guide to the many locations in this area however the Midlands book is now sold out. There are a few others though covering several other areas or instead go to the Trainspots homepage. The footbridge at North Stafford Junction (view looking east seen above) is about 15 minute walk along the canal towpath from Willington station. In the distance can be seen the road bridge at Stenson Junction, both of which give good views in either direction, though the sun favours trains heading towards Birmingham from mid-morning until mid-afternoon. With the help of Real Time Trains you can easily move between these bridges, and another on the Castle Donnington branch at Stenson itself, in between trains. I had just missed a Derby to Old Dalby move of new London Underground S-Stock as I arrived at Willington, hauled as usual by two pairs of class 20s. Of course I was a bit annoyed I didn't manage to get that particular working however the highlight of the day turned out to be almost last thing and after the clouds had moved in. By about 3pm the sun, had it been out, would have been head on down the line so it was as well for once that it did turn cloudy. 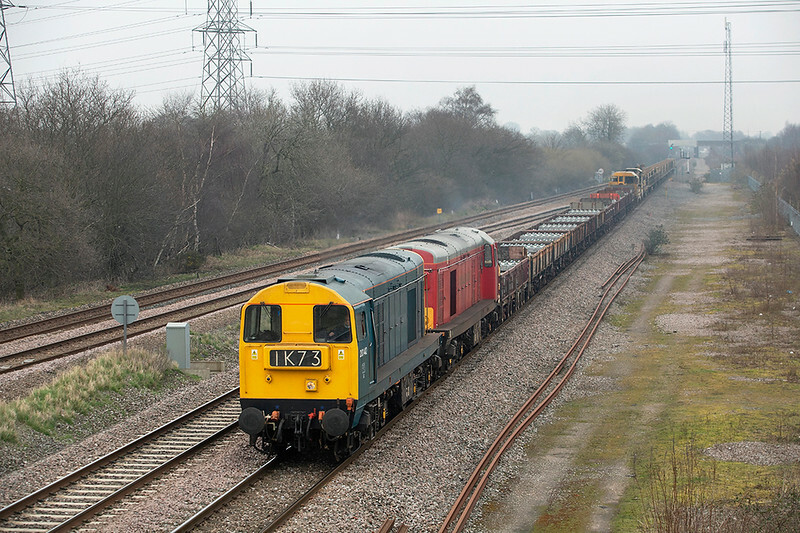 A Toton to Basford Hall Infrastructure train was due and what a pleasant surprise it was to see it appear being hauled by yet another pair of class 20s. Coming five minutes after a blue class 60 headed east and also five minutes before the Colas class 47 hauled Boston Docks steel train also went that way, this made a very good end to a productive day. The rest of that days pictures can be seen in the New Additions section for the next month before they move to the 2014 Trips section. Please have a look if you have time. I am hoping that I shall be able to make a few trips again over the next two weeks so please check for another edition of the blog shortly after that. 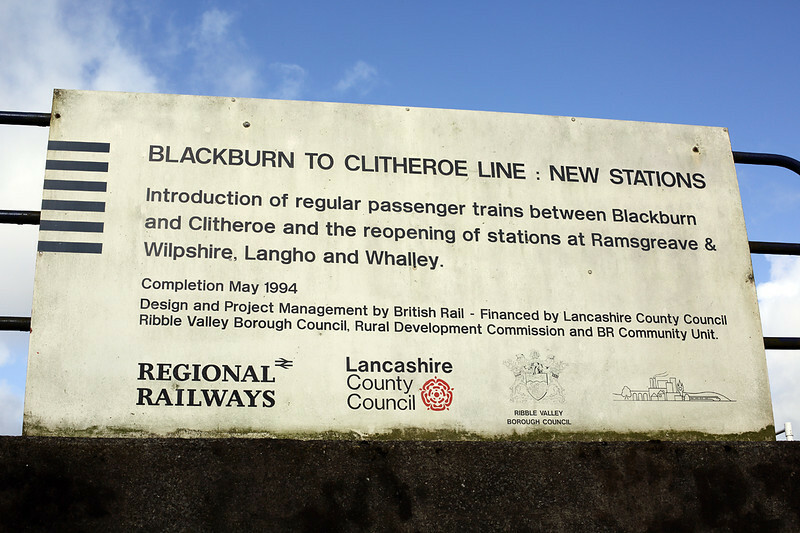 I will leave you with a sign at Langho station which is 20 years old this May: the Blackburn to Clitheroe line has gone from strength to strength since. Thanks for reading, bye for now!